US Secretary of State Rex Tillerson will arrive in Turkey on Thursday for a much-anticipated meeting with President Erdogan. 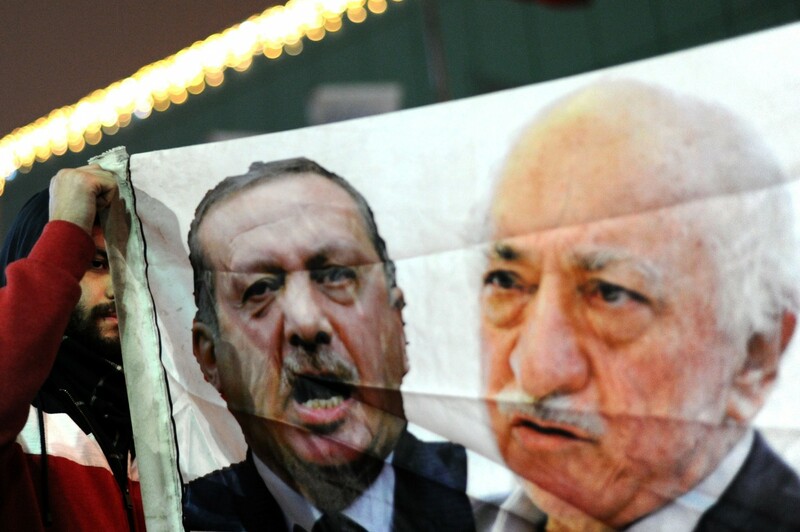 Ankara is expected to demand the extradition of Fethullah Gulen, a Pennsylvania-based cleric accused of masterminding July’s failed coup. Eyebrows were raised earlier this month when reports emerged that Trump’s former National Security Advisor Michael Flynn had considered “a covert step in the dead of the night to whisk this guy away”. While Tillerson won’t sign off on kidnapping on Thursday, he may well use the Gulen issue as a bargaining chip for Washington’s ambitions in Syria. The US still lacks a reliable and capable partner on the ground, a role Turkey could fill if conditions are right. Mr Erdogan will also voice his displeasure at the prominent role given to US-backed Syrian Kurds in the upcoming Raqqa offensive. Despite the wrinkled relationship, Turkey and the US do share strategic interests. Both want a Syria free of Assad, both want to defeat ISIS, and both want to constrain Iran’s regional ambitions. Could a bargain be on the cards? Dig deeper: Erdogan’s Turkey: towards a new sultanate?